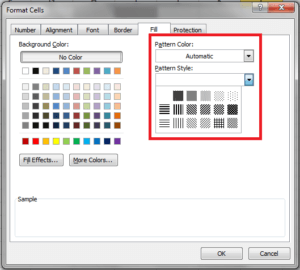 In this article, let’s look at the various ways to set or remove the interior/background color of a cell or range – ie to fill the cell. We’ll also have a look at how to fill a cell/range with a pattern. 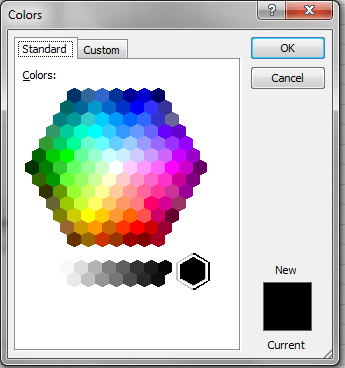 Finally, we’ll review how to get the color input from the user using xlDialogEditColor and working with color gradients. 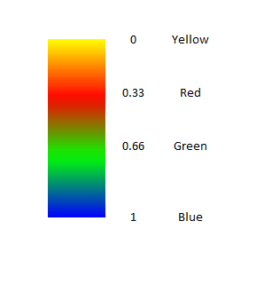 The .Interior.Color property is used to set the color of a cell or a range. There are various methods in which we can do this. Here is the Excel before and after executing the code. 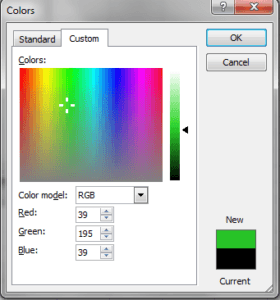 The xlDialogEditColor is a dialog used to get a color code from the user. This dialog has 2 tabs: Standard and which we will see soon. intResult: Zero if the user cancels the dialog and -1 if the user selects a color. intIndex: Selected color when the edit color dialog is opened. It is also used as an identifier to get the value of the color selected by the user. (More details below). 1. Displaying the standard tab: If only the intIndex is specified and the last 3 parameters are omitted, standard tab will be displayed. 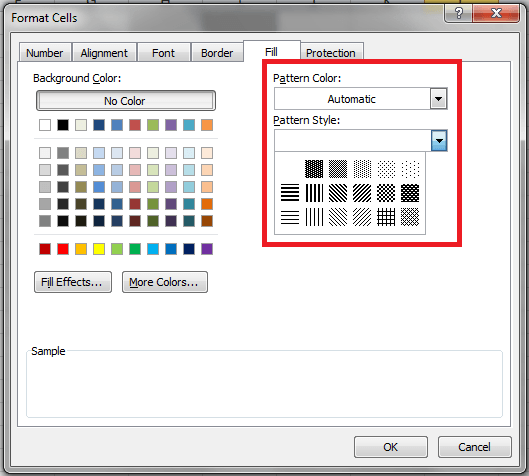 intIndex will decide the color index initially selected in the standard tab. This is a number between zero and 56. 2. The custom tab is initially displayed. 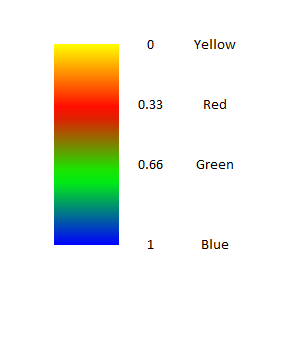 If all the 4 parameters, including the RGB values, are specified, the custom tab will be displayed. Note: The intIndex specified in the xlDialogEditColor (40 in our example) is also the index used by ThisWorkbook.Colors. You need to make sure that these two numbers match. A gradient can have one or more colorStops, and each ColorStop has a position (a value between 0 and 1) and a color property. When you create a gradient, by default, the gradient has two ColorStop objects. One of the color stop objects has the position 1 and the other has the position 2. 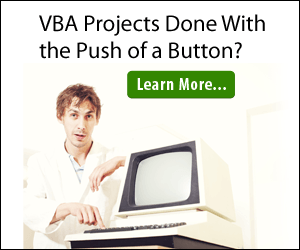 In order to be able to fully use the gradient properties in VBA, it is best to change the default positions to 0 and 1. In this way we would be able to have additional positions (colorStops) in between (i.e 0.5, 0.3). Let us now look at an example. 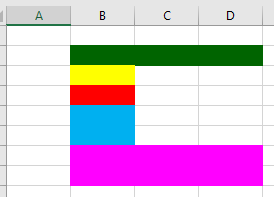 You can get a complete list of the XlPattern Enumeration in Excel here.